If you own a business, the way the space of the business premises appears is very important particularly with reference to the overall image of your company. It is mostly regarded as an extension of the particular attitudes and the specific values that are held by your company. It is for this reason that you should ensure that its presentation is very inviting, especially when it comes to the Decor. To begin with, the paint job should be done by a very professional commercial painting service that will depict the true potential of your company. This should be held with the highest concern for all business owners wherever their businesses are established. For those whose establishments are in Edmonton, a suitable Edmonton commercial painter should be sought. The following are a few guidelines for the best selection. A fine Edmonton commercial painter needs to have a very satisfactory reputation especially from their previous customers. 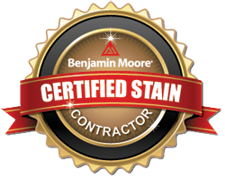 The commercial painting service also needs to be licensed, officially registered, and bonded. In addition, liability insurance of the company also has to be checked. The Edmonton commercial painter needs to be able to provide very high quality services to fully meet your Decor needs. The job should also be completed in adherence to the given deadline with utter efficiency. The commercial painting service needs to be uncompromising in its level of productivity and craftsmanship. All the materials that the painting service uses have to be safe to the environment. Unsafe painting products cause both harm to the surroundings and to occupants of the painted building. The side effects of the harmful painting products can turn out to be chronic. You should ensure that you choose an Edmonton commercial painter whose products are confirmed to be zero-VOC or VOC–compliant to ensure no harm is presented to both the staff and the environment. When you are considering an Edmonton commercial painter for hire, make sure that there is a warranty offer for fixing or repair in the event that something does not go as planned in the period stated. This however does not allow any compromise in the quality of their services since they still have a period of corrections. The work should be done as perfectly as possible in their first attempt. The warranty is just there in case of any misgivings in the initial work done. The commercial painting service providers give at least a warranty of two years. The final appearance of your Decor after a paint job is very significant as the end result could, to some extent, either make or break your establishment. Keenness is of importance when making your selection of an Edmonton commercial painter as the work they do will be a very crucial part of your institution. Poor work will not be pleasing to any of your customers whereas neat and aesthetic work creates interest even from random onlookers.